2015 PRCA Windham Weaponry World Standings as of August 3. The rodeo trail is starting to wind down with eight short weeks left in the rodeo season. 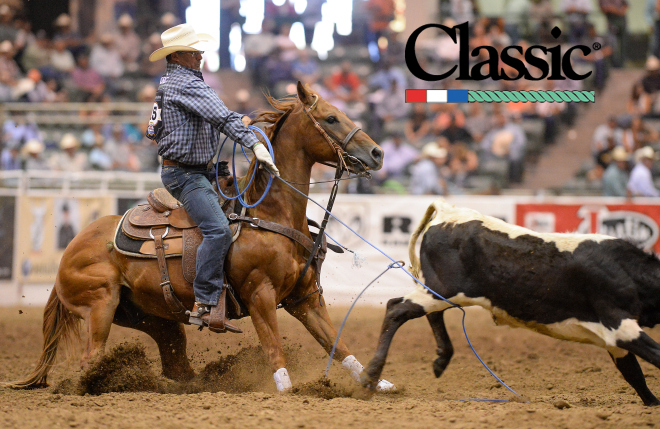 It’s a pivotal point in the season when some are faced making the difficult decision to head home and regroup for 2016 or stay on the road and head to the Northwest for hopes of a NFR qualification. The majority of the rodeos this past weekend were saturated in Kansas, with Dodge City and Phillipsburg being a couple of the big name events. David Key and Martin Lucero fared well winning 1st at Dodge City and 2nd at Phillipsburg winning nearly $6,000 in the weekend. Luke Brown and Kollin VonAhn are roping with their momentum from Cheyenne and Salt Lake and won third at Dodge City and are climbing their way into a secure spot in the Top 15. Aside from Kansas, the “Beef Captial of the World” was the topic of conversation this weekend as Hereford, TX hosted the 21st annual Spicer Gripp Memorial Youth Foundation Roping. Being one of the biggest jackpots of the year, cowboys came to rope for big money and take a small hiatus from the rodeo trail. Jake Barnes and Junior Nogueira roped in their habitual consistent fashion and took the win. They currently are sitting fourth in the world standings looking to punch their second ticket to the NFR as a team. Next > Season Winding Down, Pressure Building Up | PRCA Windham Weaponry Standings as of 8/10/15.